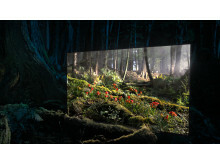 From the 9th April 2018 the Sony BRAVIA 4K HDR OLED AF8 television range will be available for pre-order at selected retailers; going in-store from the end of April 2018. 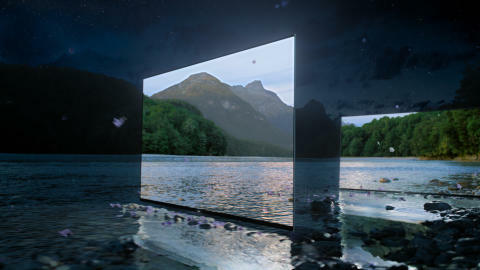 Sony’s new BRAVIA OLED AF8 televisions deliver a superior 4K viewing experience. With over eight million self-illuminated pixels, the Sony BRAVIA 4K HDR OLED AF8 models offer intense detail and stunning picture quality, providing more than four times the detail of Full HD. Acoustic Surface technology delivers sound from the whole screen to enhance the immersive viewing experience. The 4K HDR Processor X1™ Extreme will change the way you look at TV, showing images and tones as they truly are by delivering exceptional colour, contrast and clarity. 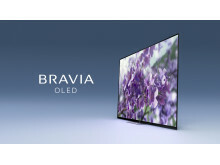 With advanced voice control and Android TV™, the BRAVIA 4K HDR OLED AF8 TV allows instant access to movies, TV shows and thousands of apps, and can be used as a gaming device. TV lovers can enjoy hit shows and movies on Google Play Movies & TV, Netflix, Amazon Prime Video, YouTube, and others. 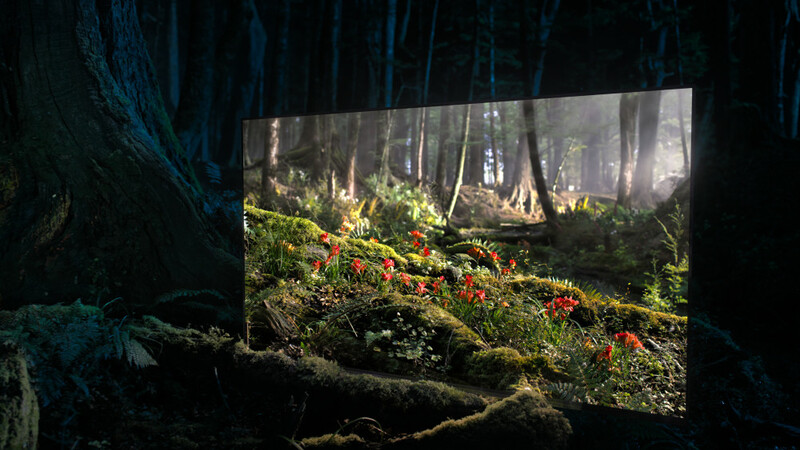 To mark their arrival in-store, on 7th May 2018, Sony will launch a beautiful new global advertising campaign that truly encapsulates the viewing experience of its BRAVIA 4K HDR OLED televisions – the newly announced AF8 series – bringing the brightness of daytime into a forest at night. 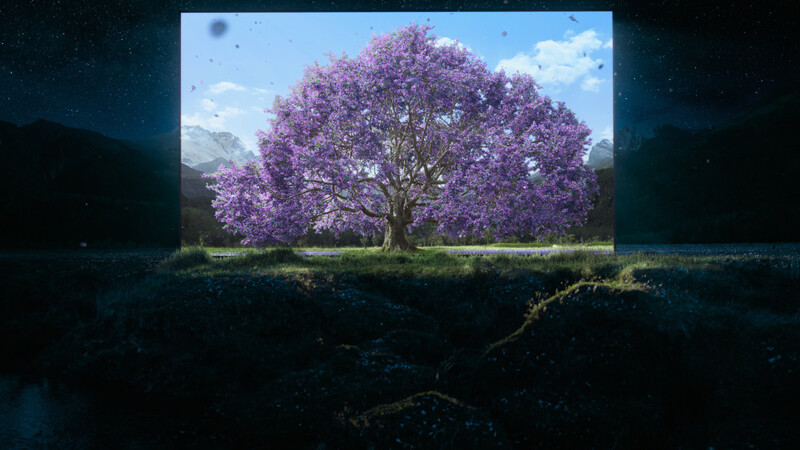 Shot in 4K HDR with a variety of cameras including the Sony F55 CineAlta, the ad made by Ben Tricklebank together with DDB Berlin transforms a darkened forest in New Zealand into a dazzling and luminescent landscape. 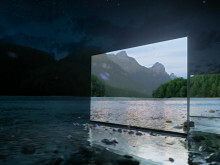 Opening with a wide shot of a tranquil forest just after sunset, the camera travels deeper into the enchanting woods to find a BRAVIA OLED TV lighting up and revealing the colour, contrast and detail of the forest. 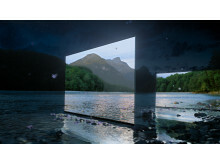 It is a ‘window into daytime’. 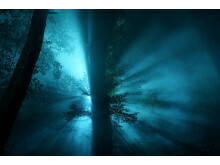 Bathing the forest in a colourful glow, light darts in and out of the night sky. 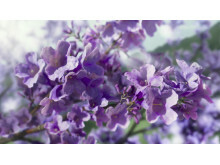 The light flickers between a fallen tree, a majestic stag wandering by a waterfall, bright pink petals swaying in the wind and a frog gazing around its natural habitat; finally leading to a breath-taking Jacaranda tree in blossom. 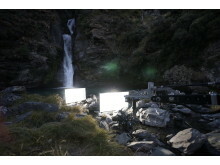 Aerial helicopter video capture as well as a variety of different shooting methods allowed the team to showcase the scale of the night sky and the sheer beauty of the New Zealand landscape – while handheld cameras capture the movement of the wilderness. 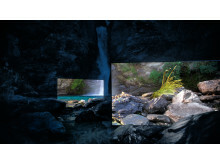 Bianca Dordea, Managing Director at DDB Berlin explained: “We set out to encapsulate the incredible visual power of Sony’s HDR capabilities in the latest BRAVIA range. 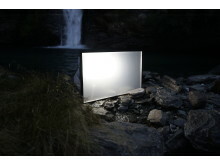 It is beautiful to see how transformative the contrast between light and dark can be; injecting colour into the night. 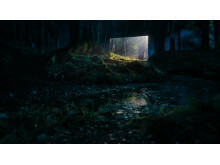 Sony Music rising star Tom Walker’s ‘Leave a Light On’ complements the beautiful ad – building a powerful musical crescendo from the mysterious opening to provide the perfect accompaniment to the transformation of the enchanting forest. The single will feature on Tom’s upcoming album which is set to be released end of summer 2018. Across a ten-week run in Europe, the campaign will encompass TVC placement, VOD, digital including banners, YouTube and Facebook specific campaigns plus point of sale to reach far and wide. 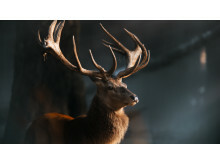 Both a 60sec, 30sec and 20sec edit of the TVC have been created along with print advertising. 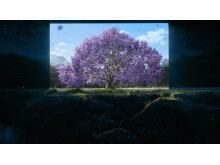 Pre-orders for the BRAVIA OLED AF8 series will be available from 9th April 2018 with deliveries and in-store availability from the end of April 2018. For information about pricing and pre-orders please visit www.sony.co.uk/. DDB is a creative agency with locations in Berlin, Düsseldorf, Hamburg and Wolfsburg with clients such as Volkswagen, Deutsche Telekom, Lufthansa, Sony, Henkel, Unilever, IKEA, STABILO International, Congstar, LIDL and many more. DDB belongs to the DDB Worldwide network with more than 200 offices in more over 90 countries. In 2017 DDB was the most successful German agency at the Cannes Lions – Festival of Creativity.